This title is for Python developers and analysts or data scientists who are looking to add to their existing skills by accessing some of the most powerful recent trends in data science. If you’ve ever considered building your own image or text-tagging solution, or of entering a Kaggle contest for instance, this book is for you! Prior experience of Python and grounding in some of the core concepts of machine learning would be helpful. 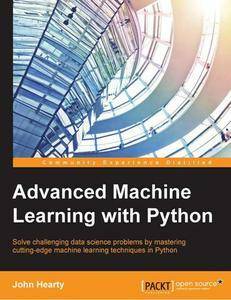 Designed to take you on a guided tour of the most relevant and powerful machine learning techniques in use today by top data scientists, this book is just what you need to push your Python algorithms to maximum potential. Clear examples and detailed code samples demonstrate deep learning techniques, semi-supervised learning, and more - all whilst working with real-world applications that include image, music, text, and financial data. The machine learning techniques covered in this book are at the forefront of commercial practice. They are applicable now for the first time in contexts such as image recognition, NLP and web search, computational creativity, and commercial/financial data modeling. Deep Learning algorithms and ensembles of models are in use by data scientists at top tech and digital companies, but the skills needed to apply them successfully, while in high demand, are still scarce. 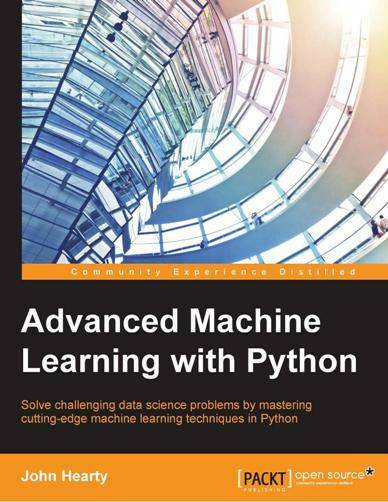 This book is designed to take the reader on a guided tour of the most relevant and powerful machine learning techniques. Clear descriptions of how techniques work and detailed code examples demonstrate deep learning techniques, semi-supervised learning and more, in real world applications. We will also learn about NumPy and Theano. By this end of this book, you will learn a set of advanced Machine Learning techniques and acquire a broad set of powerful skills in the area of feature selection & feature engineering.